Let your creativity flow freely with CRAFTS 4 ALL 12 Pieces Variety Painting Brush Set. Package contains a large variety of shapes and sizes, allowing you to paint anything and everything of your imagination. The painting brushes are designed to meet the requirements of both amateur and artists. 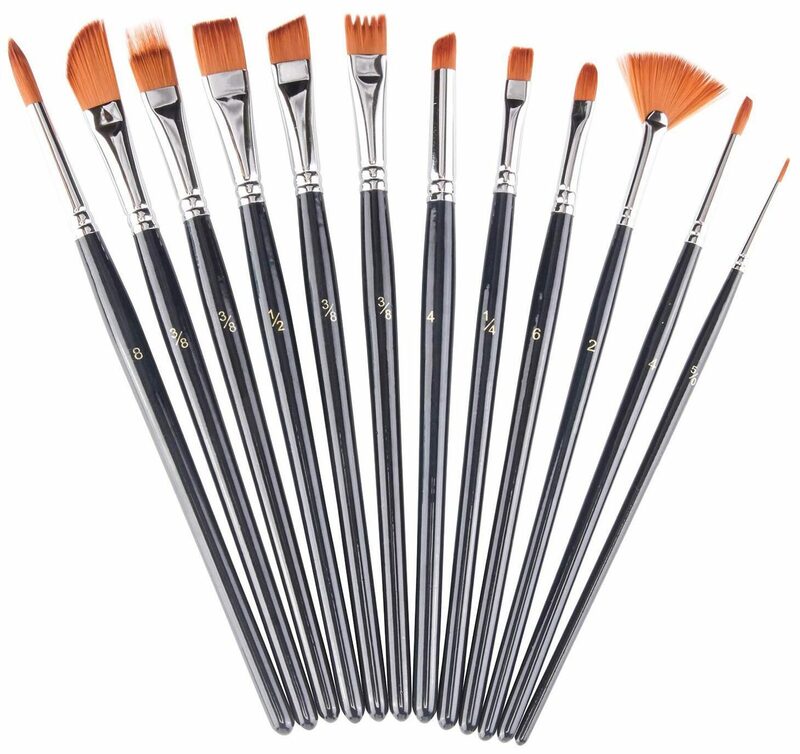 PRODUCT DESCRIPTION: >Full range of 12 brushes of different shapes and sizes. >Rust free double crimped aluminium ferrules to last longer. >Soft and flexible brush hair, holds its shape even after multiple uses and stays intact and does not fall out >Short wooden handles with a smooth finish, perfect for greater control over small details. >Ideal for Watercolor Oil, Acrylic Painting / Body, Nail, Face Painting / Miniature, model, ceramic, Craft Art >Easy to clean. About the Paint Brush maintenance: Brush nylon hair would do not stray or spread while painting. Brush hairs stay soft and flexible after cleaning. Brush hairs do not fall out after cleaning. The ferrules are double crimped and secure to the handle so there is no wiggling. Short wooden handles give you more control of the brush while painting. Brushes hold their shape and keep their spring after cleaning. To clean your brushes, just run them under warm water to wash out the paint and use your fingers to gently reshape brush . friends, beginners, artists or anyone who have fun in painting. Note: Due to the difference between different monitors, the picture may not reflect the actual color of the item. Thank you!